We seriously ♥ Wedding Cupcakes! 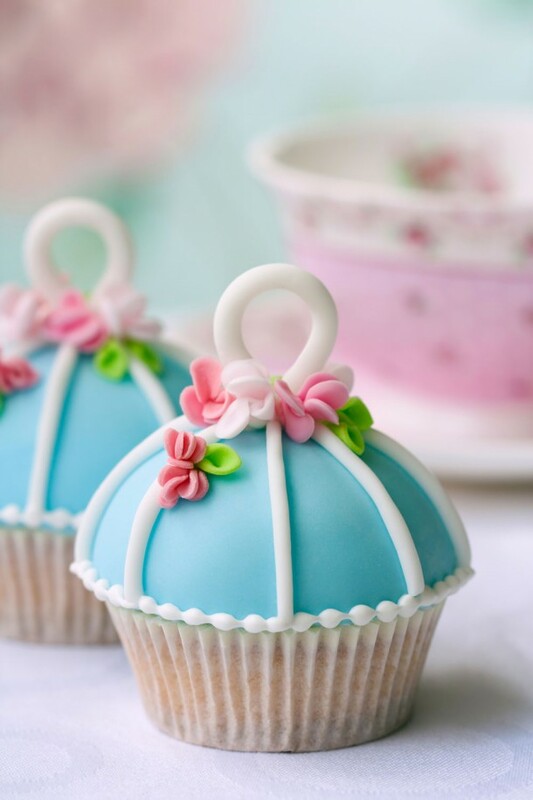 They are not only pretty but if you have a talented baker in your family you can save bundles of cash by making these yourselves (and have lots of fun “practising” long before the time). Of course if you are not into “doing-it-yourself”, there are plenty of bakeries and excellent companies who will make wedding cupcakes to your specifications and to fit in with your wedding style and theme. We’ve hunted around and found a few wedding cake suppliers for you to consider as well as found a few recipe sites and sites with DIY instructions, so have fun experimenting with making your own wedding cupcakes or call the professionals if you aren’t quite brave enough to go the DIY wedding cupcake route! DIY Wedding Cupcakes by Betty Crocker (it looks pretty basic – nothing too fancy. What I like on this link is a time-line or planner that advises on when to bake the cakes, when to thaw, when to ice etc. Quite useful if you are serious about wedding cupcake diy). Wedding Cupcake ideas by Martha Stewart – trust Martha to be full of good ideas on this topic! To find more do a Google search for “wedding cupcakes diy”, and see what you can find. For a Garden Route Wedding we found Terry Cohen who is based in Knysna and makes the prettiest cupcakes you ever did see. Her company is aptly called “Cakes & Cookies”. Give Terry a call on +27 (0)44 384 0030 to see what she can do for you. Contact Charly’s Bakery who make the most stunning cakes ever – and they are worth making a note of as its not just wedding cakes they do. Contact the talented Charly’s girls on +27 (021) 4615181 to find out more! For a Gauteng Wedding we found Pam of Cake Sensations in Johannesburg (gotta love the name “cake sensations”, yummy!). Pam is contactable on +27 (0)83 655-5979 – give her a call to see what she can do for you. In KwaZulu Natal we found Lee at The Cake Specialist on +27 (0)82 9210 676. Her cakes are unique, beautiful and elegant. Just what you need to make your wedding very special! For a Wedding in Mpumalanga we tracked down Sulandra Joubert who owns a company called Delightful Cakes. Sulandra thrives on creating a unique, personalised and delightful wedding cake to suit your taste and requirements, so give her a call on +27 (0)82 341-2608. If you consider cakes expensive why not just cut them out of the desert menu or maybe replace them with something else like fruit? There is so much waste at weddings, I now see it as waste to cater for more people because not everyone may show up. I could be wrong because I know in some cultures the reception can explode when people in the neighbourhood find out what’s going on. They are forever thinking about the free food and alcohol. I agree things are expensive but did you ever consider how much the expense for the baker and how much time some of these things take to make???? Electricity is going up all the time as is petrol and they dont just slap themselves together. As a home baker myself a plain cupcake without any decoration costs at least R5 to make. Then if you add on the time these people put into decoration how much would you suggest the cost be? For 100 cupcakes, say a sugar rose, each taking 20 minutes to make would take…+-30 hours. So if they’re charging R9,50 x 100 cupcakes minus say R6 for cupcakes (ingredients, decoration, petrol, etc.) leaves a “profit” of R3,50. So profit of R350 divided by 30 hours leaves R11,66 per hour…how much do you earn per hour for your expertise??? Hi Claire – Very valid comment! I think most brides will find that when they start to DIY, that things are very expensive and making them yourself will likely cost the same as getting a professional to do it for them! Thanks for your response. YES I have to admit you are 100% correct in what you said.I am so sorry for being so critical.I have done a little research and I was shocked at the price of ingredients not even mentioning the decor and the petrol. Please accept my apologies Claire. I (mother-in-law) am busy with the favors and THEY are costing a small fortune. The frame,the photo,the wrapping paper, the decor that goes on the gift plus the thank you card. This comes to more or less R45 X 80 people = R3,600.00 not to mention the time it takes for each one to be done perfectly. Once again I apologise to all. Have a blessed day. i think the moment you say the word wedding, people see the chance to charge you a whole lot more for the cupcakes, just like everything for the wedding. i got about 5 quotes for cupcakes and the best i could get was R9,40. we are having a picnic wedding so i was looking for something fun and colourful, cupcakes like, Strawberries en Cream cupcakes, Banana Split Cupcakes, Apple & cinnamon cupcakes, Lime cupcakes, Peaches & cream cupcakes, Lemon Meringue cupcakes, Chocolate cupcake. We are actually tasting them tomorrow night. so hope for the best. Hi Mari – Hope you found your perfect cupcakes? Yes you can say that again.As soon as you mention WEDDING the people see dollar signs and really “RIP YOU OFF” Just order cupcakes for everyday tea the price drops drastically. BUT they still look like the ones quoted for the wedding. I have no message just a small request.Is there anyone in Port Elizabeth that can bake beautiful cupcakes for a wedding like these.A person who does not charge the earth .I would REALLY appreciate it if you could let me know via my e-mail address. Who made the cupcakes in the picture? Hi Adel – We don’t know. The photo was given to us and the photographer doesn’t recall. They are gorgeous, aren’t they? Have fun! Careful with all the “tasting” and let us know how it goes. Would love to see some photos!